© Mike Olbinski. All rights reserved. 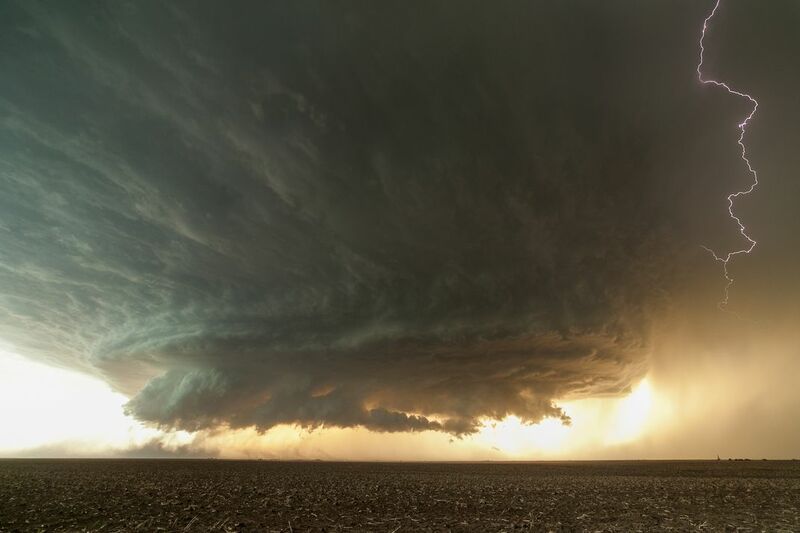 The stunning supercell near Booker, Texas on June 3rd, 2013. The storm had an ominous, spooky feel because of the backlight from the sun, plus the recently harvested cornfield.